Although Feng Yan had been on many missions outside the sect, this was his first time traveling so far away. Even his scalp numbed after what had just happened, let alone Du Lingfei, who was petrified. Thankfully, none of the incredibly powerful creatures they encountered showed any interest in attacking them. At the most, they would look over curiously. Apparently, the auras cast off by the group of three caused such creatures steer clear of them. Bai Xiaochun got the feeling that it was because they were disciples of the Spirit Stream Sect. Although this area was far away from the sect, it was still within their sphere of influence. Despite the fear the group felt, they continued onward. After the first month of travel, they made contact with the sect on a pre-appointed day, informing them of their current location. The same thing happened after the second month. It was around that time that they reached the area in the Fallenstar Mountains which was the border of the Spirit Stream Sect’s territory. Along the way, Feng Yan had considered making a secret strike against Bai Xiaochun, but the things he was seeing along the journey left him unnerved. He was in no mood for fighting, and when you coupled that with how cautious Bai Xiaochun was being, and how close he stuck to Du Lingfei, Feng Yan was simply too apprehensive, and couldn't find a chance to make his move. In the end, he was forced to simply bide his time. When Feng Yan looked at Bai Xiaochun, an imperceptibly sinister flicker could be seen in his eyes. “So, he's really determined to kill me, huh....” Bai Xiaochun thought, eyes narrowing. “Hates me that much....” Bai Xiaochun was getting worried. He was a perceptive person, and was now very sure of what was going on in Feng Yan’s head. The Fallenstar Mountains formed a mountain range that swept from north to south. They looked endless, like an enormous sleeping dragon that split apart the lands. In fact, even the sky looked different above the mountains, almost as if it were tinged with blood. According to the legends, many years ago, a star had fallen from the skies and slammed into the earth, causing some of the lands to collapse, and other parts to rise up into the form of this mountain range. The mountains were covered with dense jungle and filled with wild beasts. However, numerous rare types of plants and vegetation could be found there. Because of that, there were always cultivators willing to go in and brave the danger, however terrifying it might seem. “These are the Fallenstar Mountains,” Du Lingfei said. The long journey had left her exhausted, so to catch sight of their final destination after all this time caused her to sigh with relief. “The last messages sent to the sect by Junior Brother Hou came from this area,” Feng Yan said, producing a magical device from his bag of holding: a Feng Shui compass. The Feng Shui compass had a silver needle on it, which was currently spinning around in circles. “According to sect rules, disciples on outside missions are supposed to notify the sect of their location every month. 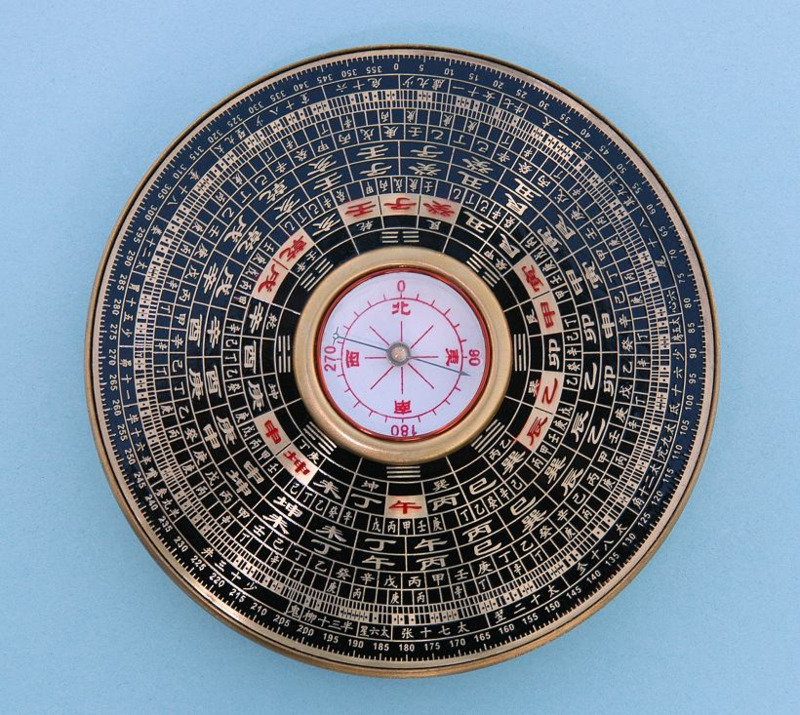 This Spirit Stream Compass should help us locate Junior Brother Hou’s last known position.” Even as he spoke, the silver needle on the Feng Shui compass suddenly pointed off in one particular direction. “Got it!” Feng Yan said, flashing into motion. Du Lingfei’s expression flickered as she followed along behind him. Bai Xiaochun looked out over the Fallenstar Mountains, and the thick vegetation which covered them. It was like a sea of plants, within which could be heard the cries of various beasts. Even the occasional roar echoed out. Bai Xiaochun had a very serious expression on his face as he activated the shield from his jade pendant. With that in place, not even the slightest breeze would get past him unnoticed. Only then did he cautiously follow after Feng Yan. Feng Yan and Du Lingfei proceeded along without pausing for a moment, speeding along through the Fallenstar Mountains until they found themselves deep in a valley. The valley was filled with trees that had been growing together for so many years that their branches were all interlocked. The knotted and gnarled bark added to the effect; if it were nighttime, the entire scene would be extremely terrifying. After proceeding along through the valley for two hours, they suddenly came to a stop. Feng Yan looked down at the Feng Shui compass, the needle of which was pointing toward a tree with a trunk so wide that ten people could circle around it with arms extended. Bai Xiaochun hesitated for a moment, then looked the tree over. Seeing nothing initially suspicious, he tapped the jade pendant hanging at his waist, causing the green shield to grow a bit stronger. He also placed some paper talismans onto his body before finally edging closer. “So afraid of dying, and yet you still want to practice cultivation? !” Du Lingfei gave a cold harrumph. She have never liked Bai Xiaochun, so even though she herself was afraid of the dangers they had witnessed, to see him so incredibly terrified of dying made her look down on him even more. Bai Xiaochun didn’t have the time to worry about Du Lingfei. Cautiously approaching the tree, he noticed a portion of bark that seemed to have grown recently. Taking out a flying sword, he cut away that portion of the tree and found that a jade slip was hidden inside. After removing the jade slip from the tree, Bai Xiaochun scanned it with divine sense, whereupon his expression flickered, and he tossed the slip over to Feng Yan. Within that jade slip was a single fragment of information. After looking at it for a moment, Feng Yan frowned, and then handed the jade slip to Du Lingfei. Du Lingfei looked at it, whereupon her expression turned grim. “The Luochen Clan....” she murmured after a long moment. Then she turned to stare deeper into the Fallenstar Mountains. These mountains were very large, and filled with numerous natural resources. Considering that this place was on the very edge of Spirit Stream Sect territory, where it bordered with the territory of the Blood Stream Sect, it was only natural that the Spirit Stream Sect would have the area guarded. Those guards were none other than... the Luochen Clan. The Luochen Clan was a relatively large clan, which had stood guard in the Fallenstar Mountains for a thousand years. Every generation of the clan had Foundation Establishment patriarchs. Generally speaking, the mere threat posed by such people was more than enough to help them in their duties of guardianship. In fact, the mission instructions even said to make contact with the Luochen Clan if they ran into any danger. However, Hou Yunfei’s jade slip seemed to indicate that the Luochen Clan... was where he had been heading to find some sort of evidence. After that was when he lost contact. “What do you guys think?” Feng Yan asked. “Should we go check out the Luochen Clan?” Feng Yan glanced over casually at Bai Xiaochun and Du Lingfei. Bai Xiaochun immediately said, “Elder Brother Feng, Elder Sister Du, having found this jade slip, our mission is complete.... We should put safety first. What’s the point in going on?” This entire place made Bai Xiaochun feel as if an invisible pressure was weighing down on him. Du Lingfei hesitated for a moment. If they went back now, they would only be able to acquire the minimum amount of merit points. However, if they investigated further, they might be able to get more. Feng Yan could see that Du Lingfei was hesitating, and he frowned, thinking about how going back now might reduce the chances he had to kill Bai Xiaochun. After a moment, he said, “I think we should go to the Luochen Clan and look around. We've come all the way here, how could we simply go back now? After we find out exactly what befell Junior Brother Hou, we might even be able to get help from the Luochen Clan in finding him. If we do, we’ll be rewarded with many more merit points. “Furthermore... as long as we don’t go into the depths of the Fallenstar Mountains, we should be relatively safe. Besides, if you’re worried about the Luochen Clan, don’t forget that all of the cultivator clans in Spirit Stream Sect territory have special seals placed into their blood, making it impossible for them to turn traitor. How could they possibly treat us with any disrespect?” After he finished speaking, Feng Yan looked over slowly at Du Lingfei. Seeing that she had agreed, Feng Yan smiled. Then he turned to look at Bai Xiaochun, and his gaze grew a bit colder. “If you’re so scared, then just don’t come with us,” Du Lingfei said, turning a cold shoulder to Bai Xiaochun as she headed off. “Junior Brother Bai,” Feng Yan said, “I'm responsible for evaluating our performance on this task. We're supposed to make our decisions unanimously. If you don’t come with us, it will make it hard to make my evaluation.” With an enigmatic smile, he began to follow Du Lingfei. In his opinion, Bai Xiaochun was sure to come along. If he didn’t, Du Lingfei would be able to corroborate the fact that the had committed dereliction of duty. When that happened, the Hall of Justice surely wouldn’t let things slide. Bai Xiaochun’s face darkened, and his blood began to surge through his veins as he stared with bloodshot eyes at Feng Yan walking away. He might be afraid of death, but as of this point, he was coming to the conclusion that he needed to take control of the situation. Only by settling things with Feng Yan could he ensure that his own position was stable. “Feng Yan, you’re forcing my hand!” he thought. After standing there reticently for a few breaths of time, he bowed his head for a moment, then strode forward to follow Du Lingfei and Feng Yan. Soon, they disappeared into the jungle. Four hours later, they were still hurrying along. Evening was falling, and the sun was setting, ensuring that the jungle was slowly getting darker and darker. “We’re here!” Feng Yan suddenly said. The three of them stopped walking and looked off into the jungle. Up ahead, the trees thinned out, and numerous limestone boulders could be seen protruding out of the ground. A large number of courtyard houses were visible, which were organized into the larger form of a mansion that could apparently house hundreds of people. At this time of evening, a clan would normally be at its most active, but unexpectedly, the mansion was completely dark and quiet. Considering the darkness of the sky, the entire place seemed almost abandoned. The only light provided was by two lanterns which hung at the main gate. Even though there was no wind, the two lanterns swayed back and forth, casting flickering shadows onto the guardian stone lions beneath them. The scene caused Feng Yan and Du Lingfei’s faces to flicker. As for Bai Xiaochun, as soon as he laid eyes on the mansion, a feeling of impending danger rose up in his heart. It felt like every inch of flesh on his body wanted to scream. “Something’s off about--” Feng Yan said, his heart thumping. However, before he could even finish speaking, the main gate slammed open, and a vile wind blew out. At the same time, a figure emerged noiselessly through the gate.